Census data is not normally something that gets people talking. In fact it’s about as dry a subject as you can get. But figures released this week have caused a bit of a stir. They show the effects immigration is having on the ethnic makeup of Britain, most notably London, where those describing themselves as White British are now a minority. One positive aspect of this is that it shows that immigration can at least now be talked about. For too long immigration was a subject off limits to the media and politicians. The result was to gift the likes of the BNP a near monopoly on the issue. The debate is now more open, but alas, no more mature. Try as we might, we simply haven’t had a proper look at the pros and cons of immigration. The cons are comparatively straight forward. Ethnic tensions in our cities, strains on our public services, increased risk of domestic terrorism, overcrowding (only 5 percent of Britain has been built on), entire communities whose loyalty is to their home country, not the UK. And there is no silver bullet to resolve these problems. These issue needs to be looked at individually, with a bespoke set of policies for each. Simply pulling up the drawbridge is neither viable nor desirable. I grew up in Hounslow, South West London. Hounslow is one of the most diverse areas of the UK, possibly in Europe. Diversity is my default. As a child, a samosa was as familiar a sight to me as a sandwich. In my view, we don’t need immigration to enrich our culture. Nor do we have a duty of care for the wretched souls of every conflict blighted country on earth. There is however one area in which immigration is not only desirable, but required. I refer to the crashingly dull yet vital subject of demographics. Britain is getting older, fast. We have more over 65’s than we do under 16’s. This trend will have disastrous consequences for our pension system. Here’s the killer statistic; when our pension system was devised, there were twelve wage earners for every pensioner. Today’s there are four wage earners for every pensioner. In twenty years the ratio will be three wage earners for every pensioner. Old people are also living longer. Pensions were meant to ensure those few hardly souls who lived that long would see out thier last few years with dignity. Today it’s not unusual for people to spend thirty years in retirement. Commitments have been made to this generation, and somebody has to pay for it. And this is the uncomfortable truth that many of those opposing immigration refuse of countenance; if British nationals aren’t going to have more children to pay for state pensions, we’re going to have to start importing young people. No amount of tweaking age brackets will make up for the fact that you need lots of young people to pay for lots of old people. And it isn’t just pensions we need immigrants for. 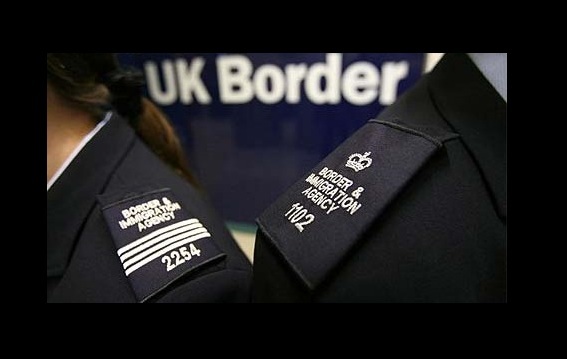 Immigrants do jobs that some British people think are beneath them. Mini cab driver, cleaner, take-away delivery driver, warehouse worker, fruit picker. Essentially anything that requires sweat or a uniform. This job-snobbery is especially evident among the young. For twenty years we’ve packed our young people off to learn sociology and media studies at university, yet we’re surprised when we can’t find a plumber of a mechanic. If we’re not prepared to train middle class white children from the suburbs to do jobs with tools, (and yes, drive a white van) we’ll have to import people who can. It’s as simple as that. Immigrants also provide a ready made global business network. Many people who come to this country do so because we are a safer, more attractive place to do business. Middle Eastern, Asian and increasingly African communities take pride in the links they maintain with their home countries. This business savvy Diasporas is a conduit for British exports to growing markets. You can’t buy those kinds of contacts. With trade comes revenue for investment and expansion, all from the private sector. With trade comes influence and friendship, vital diplomatic tools. However an open door on immigration policy cannot happen while our welfare system is so loose and so generous. An unlimited supply of free money, to everybody, forever, on the flimsiest of pretences, is not sustainable. The immigration debate needs be linked to the overdue debate on welfare, for you cannot reach a sustainable policy on one without including the other. In and of itself, immigration is not a problem. And when managed in conjunction with a fundamental review of welfare, it has the potential to be a nation saving import. 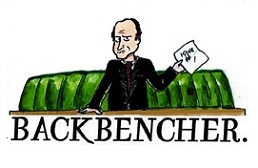 Lee Jenkins is the Backbencher's Foreign Affairs handler. He is a social liberal, fiscal conservative and geopolitical analyst.